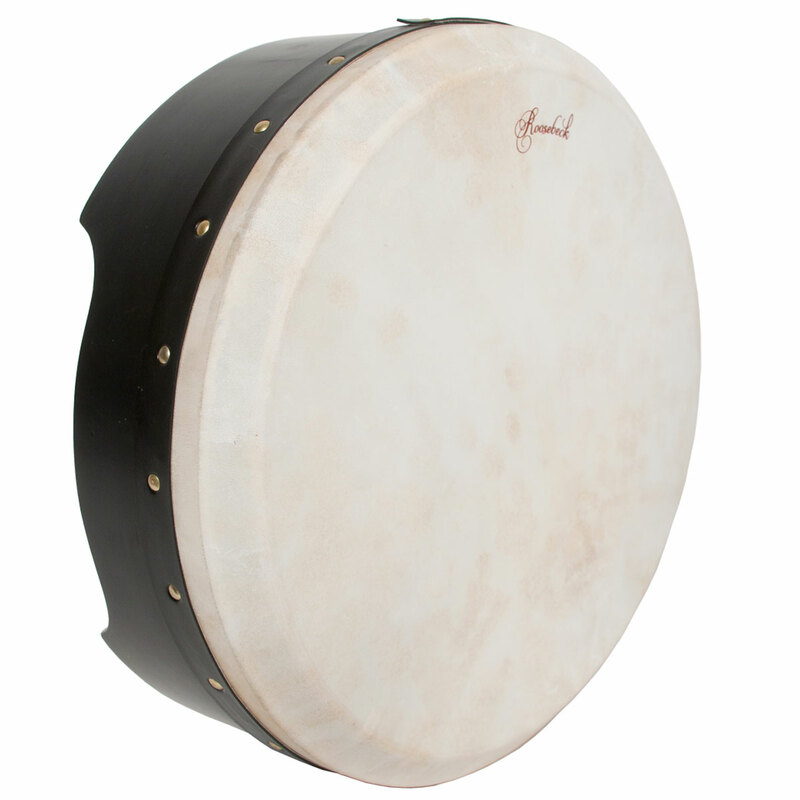 Roosebeck 16 x 5'' Bodhrán NEW Tunable Plywood Black + Tipper. Bodhrán, 16" Plywood, Black Painted with black leather band and gold colored tacks around the drum. New upgraded tuning mechanism requires no tuning wrench. This is a 6 inch deep tunable Bodhrán with a natural goat skin head. The plywood allows the drum shell to be over 6 inches deep and still only have a weight of approximately 3 pounds. The plywood makes it light weight for hours of enjoyable play. One Tipper Cipin included.